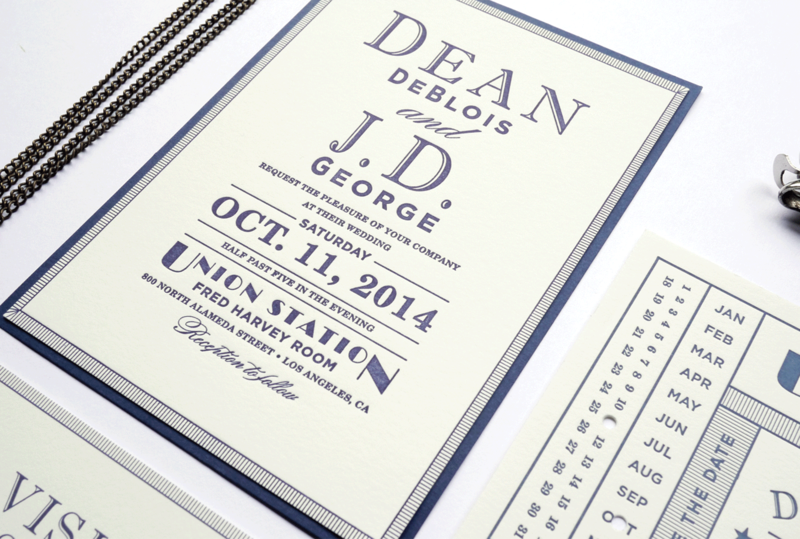 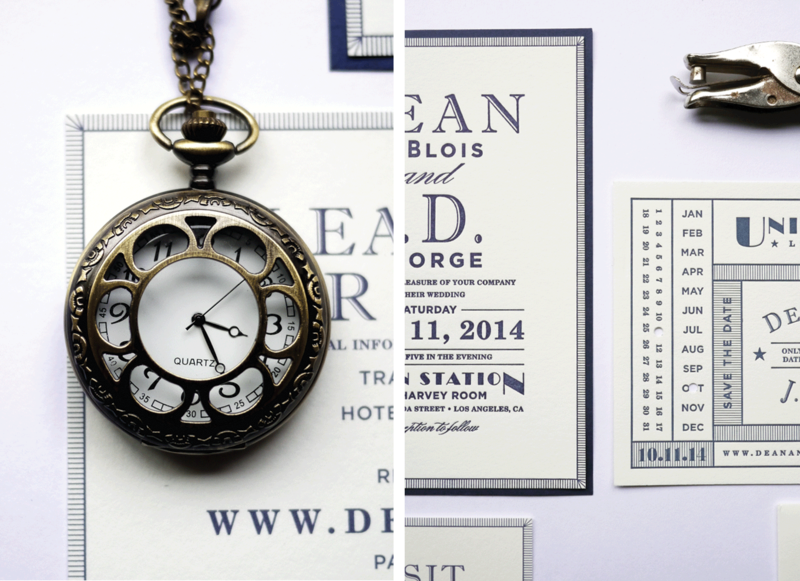 A train ticket save the date set the tone for this Union Station wedding. 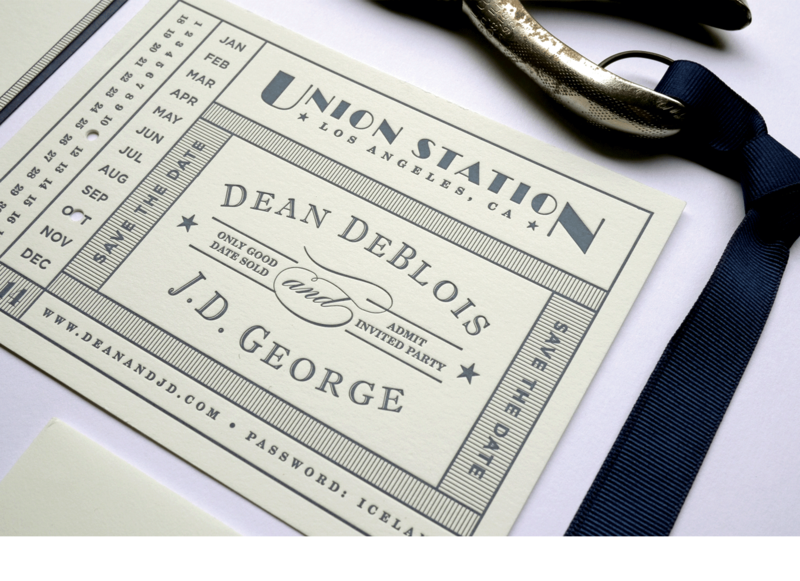 The various fonts work together to create a simple, sophisticated and masculine look. 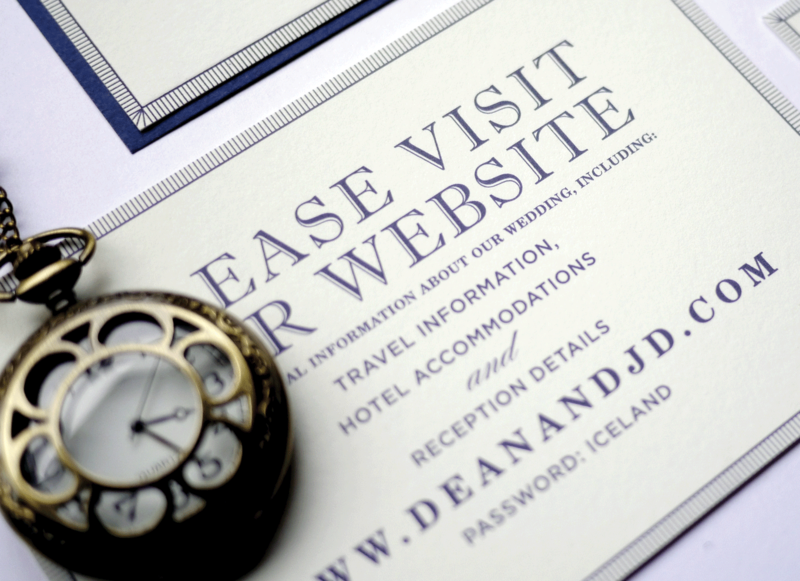 Letterpress and flat printed on cream cotton card stock. 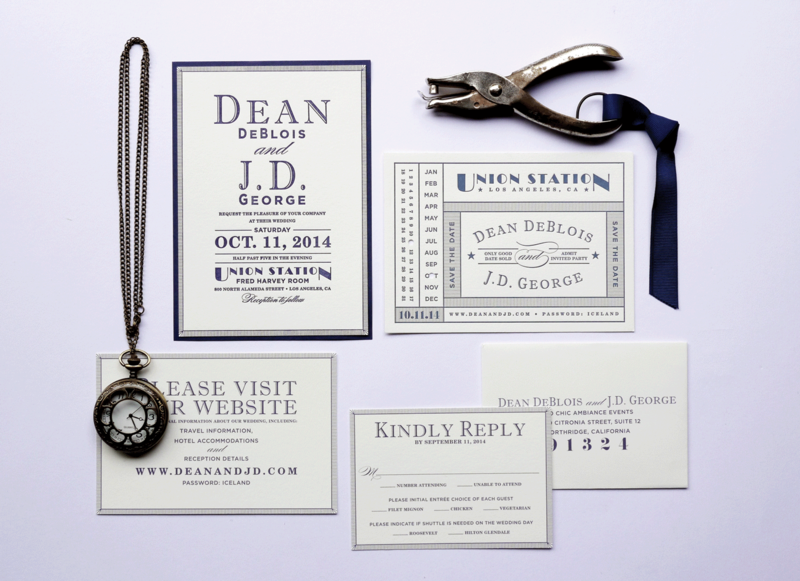 This suite included a save the date, invitation, envelope, rsvp set and information card.